Wait a minute. I thought you said you wanted to hit the local crag today with the little ones? Oh, so you don’t want to go on a hike? You’d rather hang inside? But I thought the Patagonia vest, Kavu pants and Subaru indicated you were down for a toddler-in-tow bouldering sessions I’m confused. When you said you’d like to go climbing sometime you meant never? Why is it so difficult to find other parents that are excited to take their toddlers on outdoor adventures? Does the hassle outweigh the time spent climbing or hiking so much that you’ll wait years till he’s old enough to do it on his own? Apparently, it is. Finding a willing parent is much harder than I ever thought it would be. I don’t live in a particularily lazy town, so when Baby C was no longer just a thought, I was certain there would be plenty of families out there who continue to pursue their outdoor adventures post baby. Again, I was wrong. Okay okay, I’m sure you’re out there. Maybe we’ve even seen each other at the grocery store? Maybe, that woman I thought was giving me a strange look while I let Baby C stand on the grocery cart seat was really just attempting to communicate her desire to go climbing with her toddler too telepathically! When I do meet a climber parent their initial reaction to a family climbing trip is “My wife can stay home with the kids.” Bah! In my book, that’s just not how it works. You had a kid, planned or unplanned, and now they’re a part of your life. Your WHOLE life. Of course that doesn’t mean if you’re attempting a summit to Mt. Rainier that you bring them along. As a courtesy to your partner and your child, take them with you. And wear a damn smile on your face! Not only will it help to develop a love for the outdoors for your child, but also, your entire family gets to share in the experience. Resentment need not apply. He’s too heavy? You only got three routes in today? Boo-stinking-hoo. In a couple of years you’ll be back ticking off one route after the other and bagging peaks left and right. But in those couple short years with your toddler in the backcountry, you will have given him something that will last a lifetime. When he’s fifteen, he’ll look through pictures of toddler climbing trips and think (even if he won’t admit it), “dang homie, my parents were awesome.” I could go on and on about the importance of taking your kids outside (better physical, emotional, mental health – stewardship – imagaination -etc. ), but I won’t. 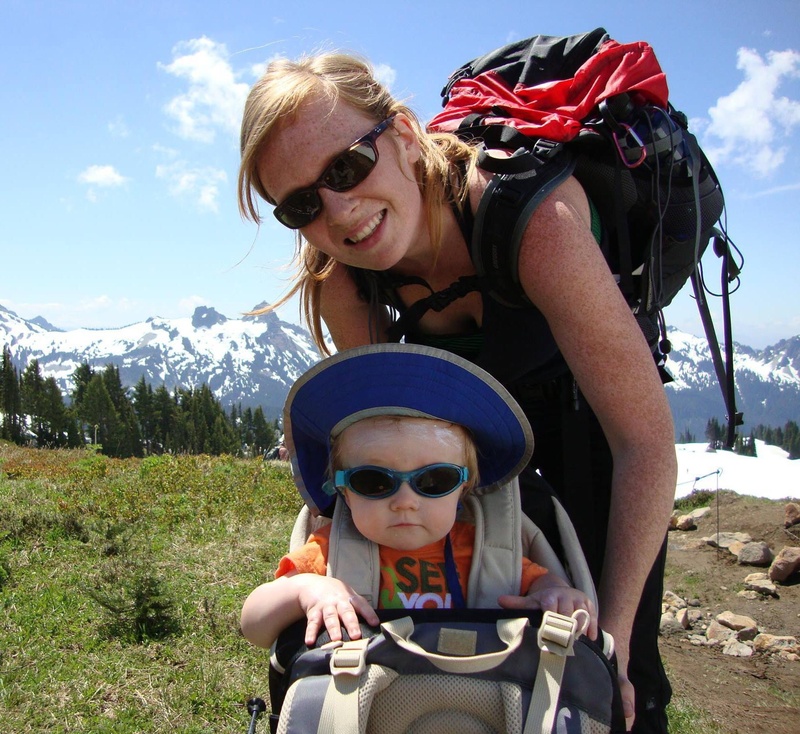 We enjoy bringing our toddler climbing, backpacking and skiing. We don’t take breaks on hikes, but instead just slow down to the pace of molasses. If you need to stop, we won’t judge, we’ll just hope you catch up. Our child determines our schedule and we respect his limitations. If it’s time to go, it’s time to go. We’re looking for a like minded family who loves bringing their kid climbing or hiking. Parents who are down for all sorts of adventures and mean it when they say it. Seeking family who let’s their kid get absolutely filthy. Seeking parents who aren’t afraid to get out there and keep pursuing the activities they love!